The Cultural Hall podcast discusses a variety of topics through a lens that will feel most familiar to an LDS audience, yet this episode will benefit anyone, regardless of religious background. 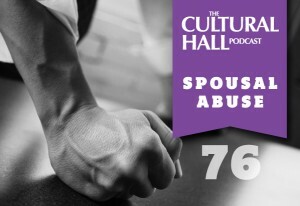 The hosts invited me to speak about spousal abuse, and we also spoke of marriage, emotional closeness, how to help those suffering an abusive relationship, and the importance of personal self-worth. Take the time to listen… you won’t regret it. HERE’s the link. Three of the divas (and their husbands) came to one of our classes! Read what they had to say about it HERE. We were honored to have the Six Sisters highlight what we have to offer. Read their post HERE. We loved having Lisa and her husband attend a class. Take a look HERE at their review! Mariel and Dan attended a class and reviewed it on the blog HERE. It was great to meet them! I teach monthly classes on emotional & psychological preparedness at the Salt Lake City Honeyville Farms store. Check out the class calendar HERE and come to one! We made the list of Top Winter Date Ideas in Utah! HERE‘s the article. Cheri and Mr. Roar came to a Dinner Workshop– Read her review HERE. We loved having Michelle and her husband come to a class! HERE‘s the review. Jordan and Bubba had a great time at our class. It was fantastic meeting them! TMB invited Kirk to counsel with the Mormon Bachelor and his final choice in the finale. Click HERE to watch! Kirk spoke with Siobhan and Donna about how to cope with things out of your control… like the end of the world!!! Click HERE to listen to the show (listen @ minute 15:32 for Kirk’s insights).